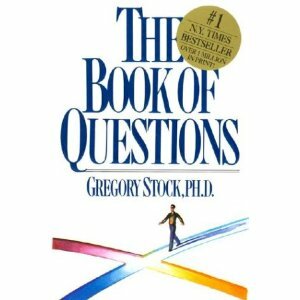 You used to get those questions from a book?! I just thought you were makin' 'em up! haha. Now, to answer to question. Evil spirits, yes...ghosts, not so much (though I've heard a lot of stories!). I believe in evil spirits more than I believe in ghosts! You just hear more about the bad juju and more movies are about evil spirits! Although... my college has a lot of ghosties that float around! Most of them are helpful, though, they do give me the heeby geebies! As for the haunted house, I would stay in it all night until something touches me!! I miss writing in our journals during class! You would turn off the lights and give us 5-10 minutes to write, while a song played in the background! It was relaxing and I miss it! Haha! I love this idea! I believe in evil spirits and ghosts. I kind of feel like they're the same thing, but I suppose a ghost isn't quite so evil, just a trapped soul that's waiting to be freed. And there is no way in hell I would stay in a haunted house all night. I can barely handle being my house all alone in the dark. The house may not be haunted, but my mind would constantly play tricks on me. Mrs. Graham, you have no idea how much i miss these free writes! Yes i believe in evil spirits but not so much ghosts - at least not in the traditional view of what a ghost is. My feelings toward this come more from my religion i guess? I believe in the second coming of Christ and that when a person dies they just go to sleep till Christ returns. This would mean that their soul stays with them (i get that it's a long time but we've all had the nights when we go to sleep for 2 minutes and it's actually been 8 hours...)Therefore, I believe that ghosts are - and this is probably going to sound stupid but - the devil and his demons and not actually the deceased person's soul lingering about. As for the haunted house - not unless i had to for some reason, and good luck giving me a good enough reason! I SO hear you on the creepo fear. And a party would definitely be a wise way to ease the tension. I love how every college has a ghost story. Here, we have the legend of "Mary" up in Old Main. It's a good one. One of our friends used to run outta there to sleep in our, ghost-free, dorm when Mary got frisky. Whoooooo...! One of the downsides to living off the main path, huh? Thank goodness for big, protective pooches, right? Oh, WHY does our Kaine-dog think the UPS man is an evil spirit? Why o' why?!? That's a super interesting take on the topic. But...what about Casper?!? No friendly ghosts for you?